We set up a whole bunch of ziploc bags on a tray and did assembly line, adding ingredients one by one for the basic recipe. Some of the recipes called for grinding up a portion of the oats for a thicker consistency, but I found that just using "quick" oats instead of regular worked just fine. Quick oats are just a bit more ground up than regular and cook up more....quickly! If you use kosher salt you may need to add a bit more as it has a softer flavor than regular iodized salt. After you have the basic oat packets made, you can go wild with the flavors. 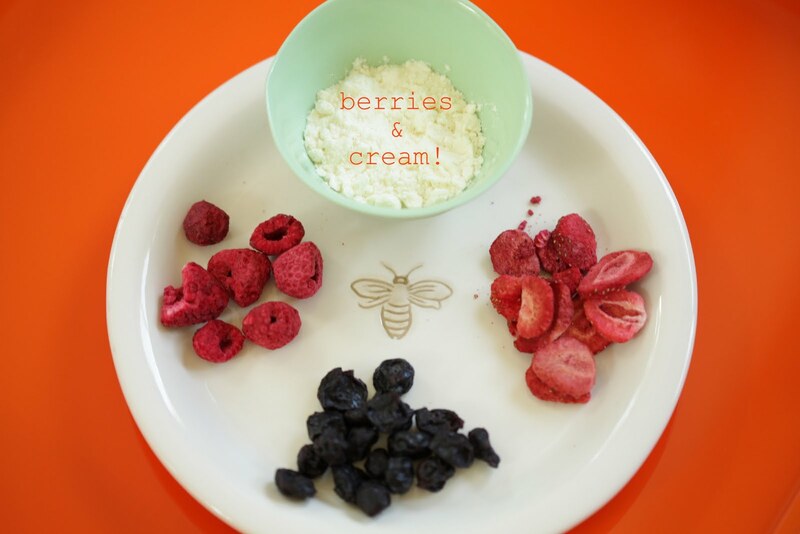 We made some "berries 'n cream" by adding dried or freeze-dried berries and 1-2 tsp of coffee creamer. 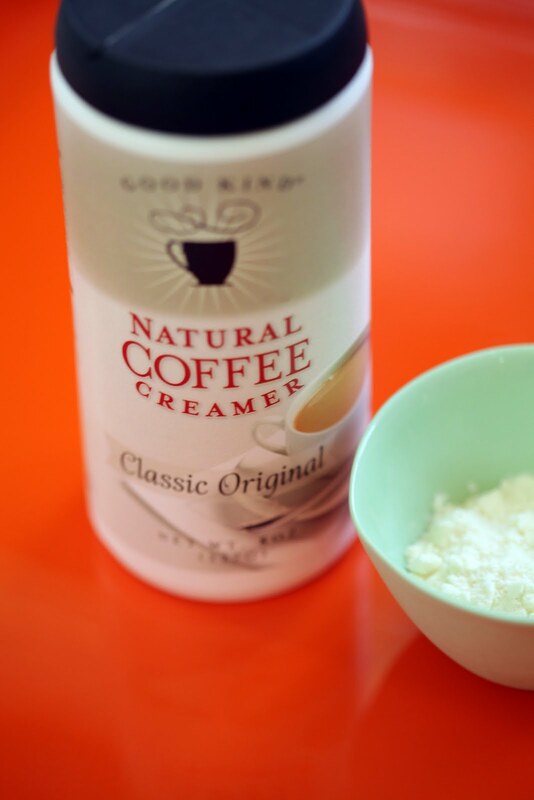 We had to search around to find some natural coffee creamer (most have hydrogenated oils or other equally bad ingredients). It was quite pricey ($6.99) and I haven't broken down the costs, but it might just be more cost effective to add actual cream after the oatmeal is made, but it sure is easier to have built-in coffee creamer. I found this brand (Good Kind) at Whole Foods by their coffee counter. For the berries, I liked the freeze dried berries better because they hydrate more fully and efficiently. Peaches would also be so YUM. If you are interested in buying freeze-dried fruits in larger quantities, here is a good source. 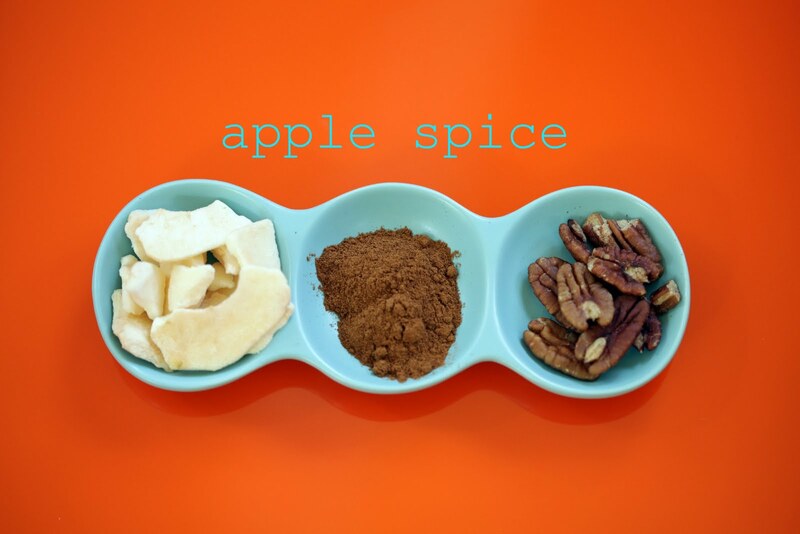 We also whipped up some apple spice with some freeze dried apples, cinnamon and toasted nuts. Crush up the apples and chop up the nuts for easier eating, but make sure these don't sit in your pantry for a ridiculous amount of time so the nuts don't go rancid. My all-time favorite cinnamon is Penzey's Vietnamese cinnamon-SO flavorful. You'll never be able to go back to the bland grocery store cinnamon after trying it. We also added some flaxseeds. I realize that to reap all the benefits of flaxseeds they should be ground, but once you grind them they need to be refrigerated, and I don't have room in my fridge for oatmeal packets, so I just added them whole, still good for fiber. Once you have added all the ingredients make sure to mix them up so the powdered milk won't clump when you add the water. To make just add 3/4 cups of boiling water! Easy peasy! This is so great! I'm not normally an oatmeal person, but I have a three moth old and I've found that it really helps my milk supply when I eat it. I know the packets are full of junk, so I've been getting it at Starbucks a couple times a week (which is also probably full of junk, and costs much more, but it's sooooo good.) Anyway, this would be a much better way to get my oatmeal fix, thanks so much for sharing. Great idea! I have flax powder (my kids balk at the seeds) and I'm sure that would make a great ingredient as well! We do the same but add chia seeds instead of flax. The health benefits are incredible! I also dehydrate our fruit. Once you get a dehydrator, no need for purchasing dried fruit. What a fantastic idea. I've read that chia seeds offer the same benifits as flax and they don't need to be ground. (Just a thought) I'm wondering what I could use in place of powdered milk. 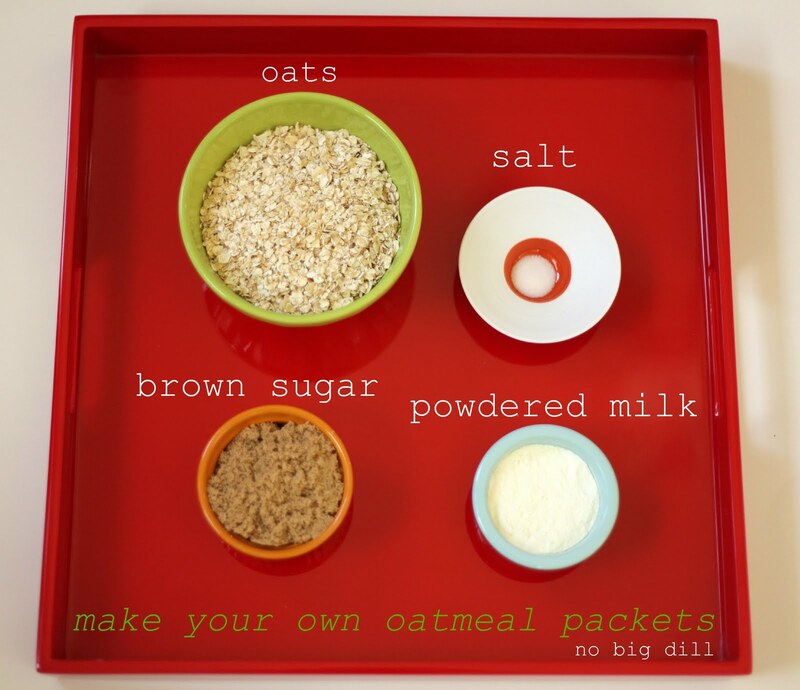 I've got milk allergy kids who love oatmeal. Maybe I could just have him heat up rice milk instead of water . . .
Courtney-flax powder should be refrigerated as well, but you can always add it later. Natasha and DJ Rose-Thanks for the heads up on chia seeds! That sounds like the perfect remedy! I assume oatmeal is the british equivalent of porridge, which I love- particularly in winter. We are partial to Bob's Red Mill Scottish Oatmeal and Steel Cut Oats. The only difference I think between the quick cooking oats and the Scottish oatmeal would be letting the latter sit a minute longer. Lindsey-you had me at toasted in butter! Katy, You've even tempted me with this mixta! awesome idea! I loathe those packets, not just all the junk in them, but they are way too sugary. Also thanks for the source on bulk freeze dried fruit. Just bought some. We go through quite a bit & it is pretty pricey at the market! What a great tutorial. Seriously, it looks so professioanl and is so much more than just sharing a recipe. Okay, for my question : where can i get the "bee" plate? Love it! Thanks again for all your wonderful post. Just placed my order at penzeys. Thanks. Courtney-I am wanting to try their freeze-dried veggies, as those would be great for food storage since I'm not too keen on the regular canned vegetables. Okay, first this is a fantastic idea! I've often thought of doing this myself, especially since my kiddos like the bananas & cream the best but we're gluten-free around here and while they do have fabulous instant packets they are pricey. However I have found that the gluten-free quick oats don't absorb the water well. You said that some of the recipes called to grind up the oat meal, could you pass along a link to one of the original recipes, I sure would like to try this. Passionate Design--just add 2 tsp of ground oats and leave out any offending ingredients! Great idea!! I feel the same way about store packaged instant oatmeal! What a great idea ... we'll definitely try that! I love all the fun projects you give your girls. Cool flax seed photo--it's frame worthy! THANK YOU! I am pinning this on pinterest so I don't forget how much I want to do this. Have a four year old starting school needs to get in a breakfast habit and hate feeding him junk! Looks great! But FYI, whole flax seeds are not digestible by humans. Our systems can't crack 'em open and get at the good stuff inside. If you want the benefits of flax, include flax MEAL. The ground up stuff. one of the coolest things I've seen in a while! i really want to try it once fall rolls around. yum! I've been making these for a couple of years...I got a recipe from a cookbook "Family Feasts for $75 a Week" I think the key is the salt :) We'll have to try the berries and cream mix! Great recipe! I love the beautiful pictures as well. Really, every single one is stunning. I'm coming of lurkdom to say hi. I love your work! i never comment but i read all the time! so today i must say this is ingenious! and you look amazing good luck and many blessings on the home stretch of baby dill #6!! Thanks for this. I love your blog. I second theca seed comments. I sneak them in everything. They have no flavor so it's easy to do, and they are chuck full of omega 3's. I like to sprout them too. Good luck with baby #6! What a great idea! I have a blog about SR's freeze-dried foods. I hope you don't mind if I post a link to your recipe? This is awesome! Thank you for posting this! Definitely going to be making! Love, love, love. Shared. thank you!! 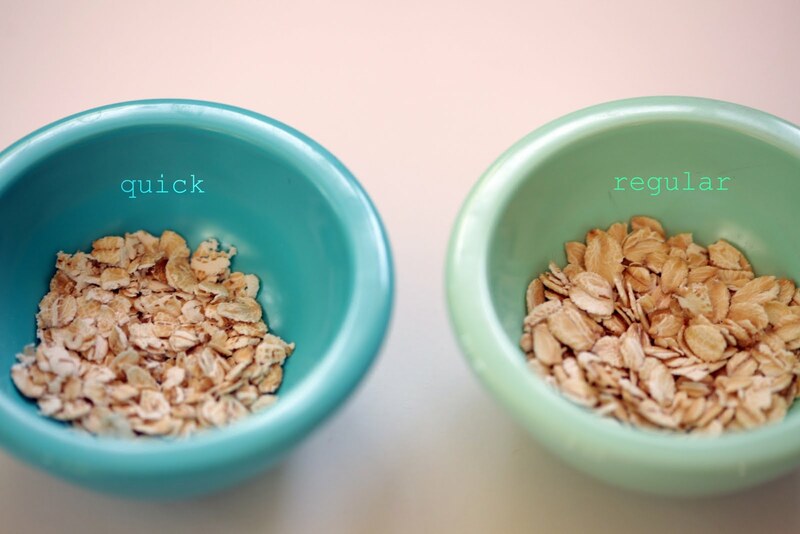 I use "quick cook" oats when I make oatmeal in the microwave, and cook for 3 minutes (also known as 3 minute oats); how do they work to just pour boiling water on them? I have Apples & Cinnamon Instant Oatmeal here, and the ingredients are: whole grain rolled oats, sugar, dehyd. apples pieces (with calcium stearate and sulphites which are very normal on dried fruits), salt, guar gum, cinnamon, calcium carbonate, and natural apple flavour. I keep hearing how bad instant oatmeal is, but guar gum and calcium carbonate are the only things I don't add when I make oatmeal myself, LOL. I might make up some packages though for days I'm out of milk for cereal. TracyKM-The apple flavor is probably the most natural, but the other "fruits" have artificial color and flavors and strange ingredients. Guar gum is added to give oatmeal a thicker, more gelatinous consistency, which I don't like, but I don't know if there are any health concerns regarding the consumption. As for the calcium carbonate, I don't see any reason to add that if you're using milk powder or milk to reconstitute. Adding boiling water works just fine for us. You just pour it in, stir it, and let it sit for a couple of minutes and breakfast is served! Katy, I meant to tell you happy anniversary on the 4th! I remember your post last year and that my anniversary is the same day as yours. I hope you had a wonderful day with Ryan and the baby Dills! I went to the Thrive site and am stuck on which apples to order. I like the idea of the Apple Slices since they are organic, but I don't like apple peel in my oatmeal. Do you get the the slices or chips for your oatmeal??? I love this idea. I started making my own muesli recently which I mix with yogurt. It's a lot like your mixes but I add lightly ground coconut flakes and chopped pecans along with raisins (or currants) and ground flax seeds. Mixed with yogurt it's a treat in the morning. My littlest one (18 months) is ga-ga for it. this is the most exciting thing I have seen in awhile!! When you make the berries and cream do you add the powdered milk as well as the creamer or just the creamer? Ok, I am a lover of berries and cream oatmeal packets (always have been). It's almost in the same category as chocolate! However, I am so glad that you posted this! My family loves oatmeal, and the packets just aren't as healthy as anyone (except those who make them) thinks they are. I will be making these this weekend, even made a special trip out just to get the creamer since we're not coffee folks. I love porridge, but we've never had a microwave so I've gone without. Who knew it was so easy! I made up a bowl this morning and Roman and I enjoyed it thoroughly! While love using zip lock bags for this, I've started using canning jars. These keep the oat meal fresh and is a built in bowl. I carry them to work, add water and microwave. They are reusable and no waste. I've also started adding Chia Seeds to my oatmeal mix. 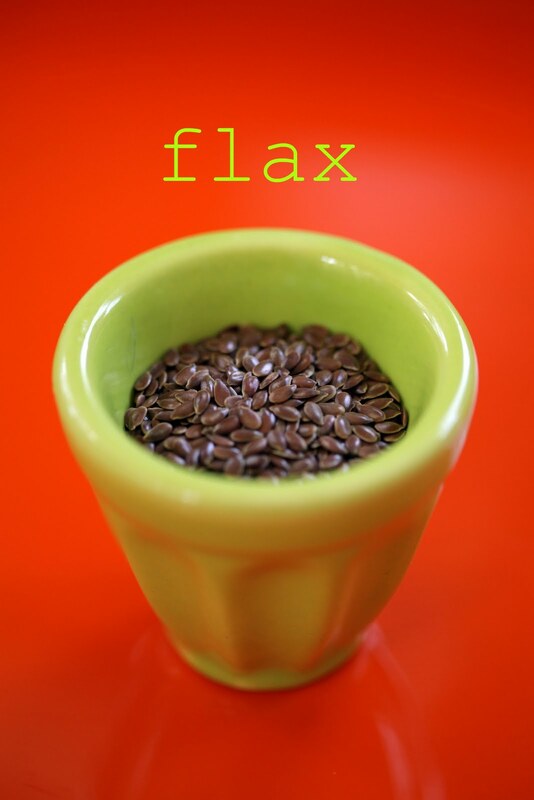 It has many of the same values as flax, plus are good for cholestrol, but they do not have to be ground to be effective. You can add them to almost anything with changing the flavor.